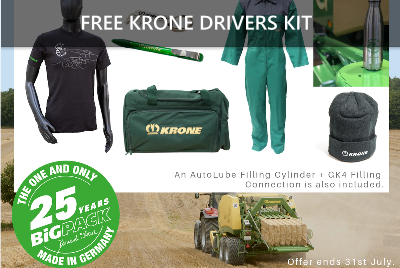 Get a Free Krone Big Pack Drivers Kit. Get a free Free Krone Big Pack Drivers Kit when you order any Krone BiG Pack Baler. 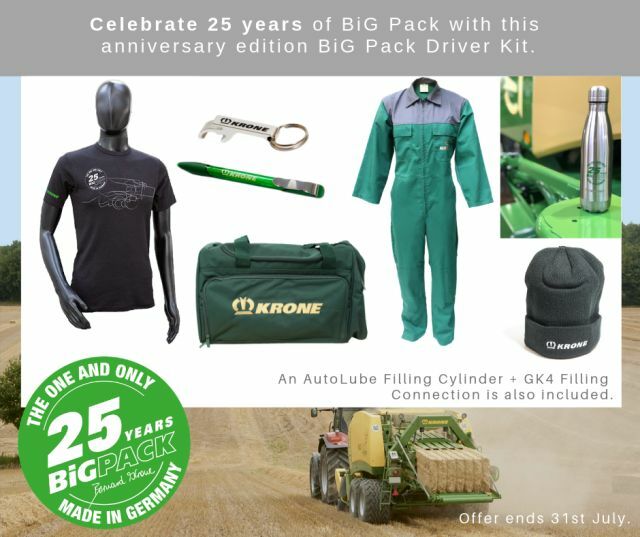 Krone are celebrating 25 years of the BiG Pack Baler and this anniversary driver kit is ideal to help celebrate this milestone. But hurry as this offer is only available until 31st July 2019. Contact our sales team today for further information.